Ambica Machine Tools offers a wide variety of engine and pressure driven hydrostatic test pumps and equipments. We, at Ambica Machine Tools provide test pumps and equipment which are fully portable and can well be used to test the irrigation lines. Head 705 Bar Pressure Max. 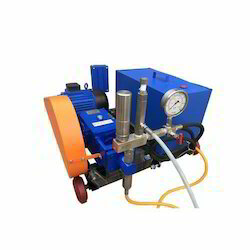 Pump Size 1/2" X 1/2"
We are offering a wide range of Hydraulic Pressure Test Pump. Pressure set valve made from Stainless Steel. Pressure testing Up to 3,000 psi (211 kg/cm2). 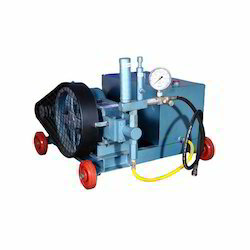 We are offering a wide range of Hydrostatic Pressure Testing Pump.